The Railsplitter. The Great Statesman. The Great Emancipator. 16th President of the United States. Honest Abe Lincoln. Springfield, Illinois, Abe’s Hometown. Illinois, Land of Lincoln. It may surprise you that I’d recommend another race when scheduled so close to one of my own races. But just this once. Steeped in history, the opportunity to experience my boyhood version of the heartland. The 55th annual Lincoln Presidential Half Marathon will be held Saturday April 6th. The same day as our 13th annual Nebraska Trail Run. Linda and I are headed south to catch up with one of the last Real American Cowboys, my dad. Now 87 years old, still polishes his boots and goes dancing twice a week. Gnarled laborer’s hands somehow turned artisan, cranking out Americana in his little leatherworking shop. And the most honest man I know. 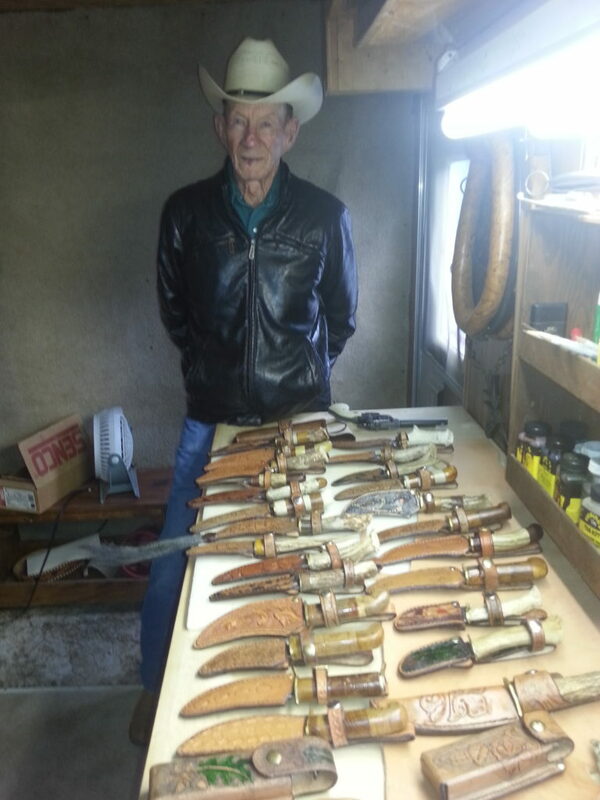 Dad makes the knives from scratch. Blades from cement sawblades, handles from all manner of root and antler and wood. Hand tools the leatherwork. I’m anxious to receive the belt he’s made and hope the snakeskin chaps are ready too. This entry was posted in Uncategorized on January 28, 2019 by runguru.